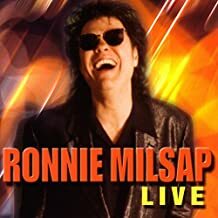 Ronnie Milsap lyrics are intended for your personal use only, this man has an incredible talent as a musician and vocalist. Enjoy these old country lyrics with chords, sing and play them often. He's one of country music's most well known artists not to mention the pop market. He was born blind and while in a state school for the blind he was taught music which quickly became his passion and outlet. He learned all types of music and was awarded a scholarship and attended a college in Atlanta, Georgia. Ronnie decided to forgo college and become a full time musician and the rest is history. He has given us countless songs that will be enjoyed for a very long time.